Why Do Foster Parents Quit? Being a foster parent is tough. The 3:00 a.m. phone calls. The meltdowns. Dealing with birth parents. Unreturned phone calls. It is a tough job. And though most foster parents do get reimbursed for their effort, no amount of money is worth the emotional toll it takes on a foster parent. That being said, good-hearted people ought to get into foster parenting for the right motivations. Many foster parents quit after just one year. Here are just three reasons why. PROBLEM: Many people get into fostering with good motivations. They want to help the community. They love kids. But good intentions alone won’t “fix” children who have experienced trauma. SOLUTION: Change your expectations. 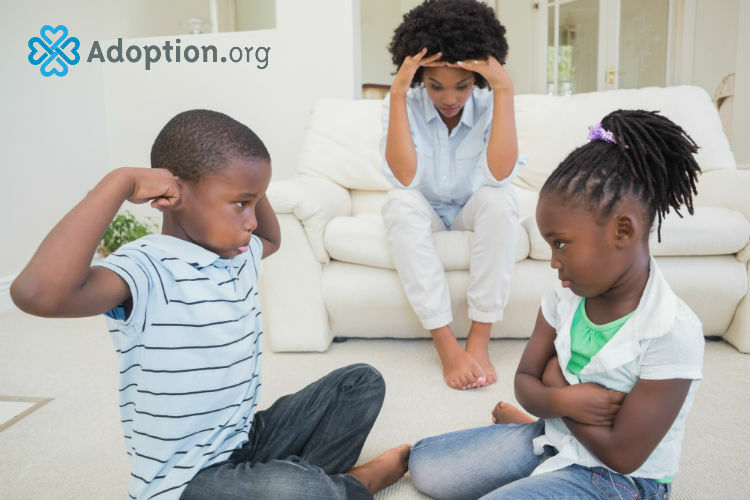 Don’t compare your biological child to your foster child. Your biological kid may not have had the baggage that your foster child does. Rather than unfair comparisons, meet the child where he is developmentally and work to bring him up incrementally. Get a thick skin. Be patient. And don’t try to save the whole world. Take it one day at a time and celebrate that child’s strengths. Accept that child for who he is and don’t expect anything back in return immediately. See him for who he can be. PROBLEM: Some foster parents quit because they don’t feel supported; either by their agency or by the community at large. So, when big events happen like when a teen throws a 2-year-old temper tantrum or when there is a false allegation, some foster parents feel they have no one to turn to. SOLUTION: Prospective foster parents should be encouraged to develop a “wrap-around” team. This is a natural support team that includes family, friends, people from the faith community, and other foster parents. This team’s help is as much an emotional support as a physical need support. The team helps to alleviate the common stresses of foster parenting such as meals on the first week of placement, respite, and provision of physical items like car seats, strollers, and bunk beds. This won’t solve all issues, but it does go a long way in retaining foster parents. PROBLEM: Many foster parents enter foster care with outdated training. Therefore, foster parents are not updated with the latest trends in child welfare. They quit because they were inadequately prepared for the dangers and pitfalls that may lie ahead. SOLUTION: Training needs to be updated and ongoing. For example, parents need to be trained on how trauma affects the brain, the development and the overall well-being of a child. Discipline can also be an issue because the behaviors of some foster children can be rather intense. Instead of viewing the child as a “bad” kid, foster parents need to view behaviors and “bad” behaviors. There are many more reasons why a foster parent may quit, but this is just for starters. Bottom line is that there needs to be a proactive stance in retaining foster parents. If we can place many of these structures in place beforehand, chances are, foster parents may stay on board longer. Being a foster parent is tough but it’s the toughest job you’ll ever love! For more information about foster care and adoption, check out Adoption.com.